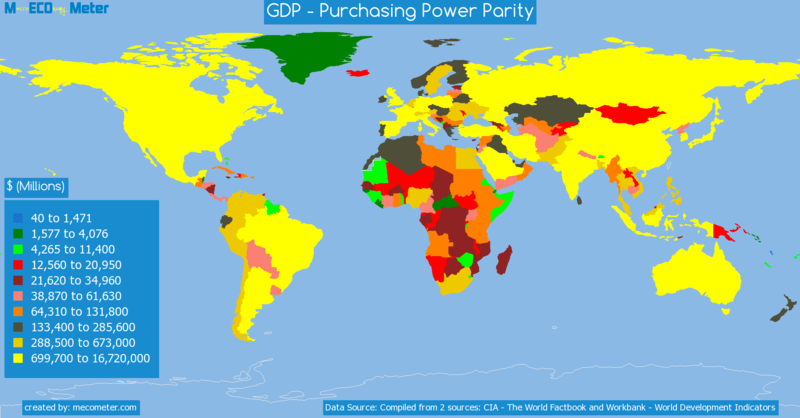 Value & RankThe GDP - Purchasing Power Parity of Slovenia is 57.4 ( billions of $) with a global rank of 91. 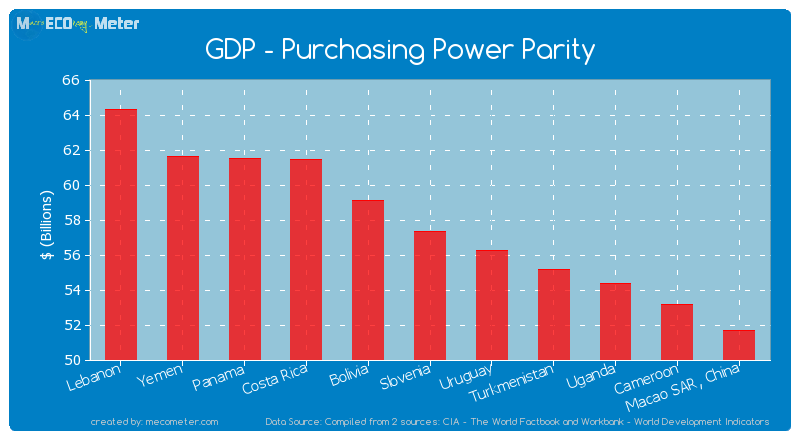 Slovenia compared to other CountriesThe GDP - Purchasing Power Parity of Slovenia is similar to that of Lebanon, Yemen, Panama, Costa Rica, Bolivia, Uruguay, Turkmenistan, Uganda, Cameroon, Macao SAR, China with a respective GDP - Purchasing Power Parity of 64.3, 61.6, 61.5, 61.4, 59.1, 56.3, 55.2, 54.4, 53.2, 51.7 ( billions of $) and a global rank of 86, 87, 88, 89, 90, 92, 93, 94, 95, 96.10 years growthSlovenia's GDP - Purchasing Power Parity had a positive growth of 40.0 (%) in the last 10 years from (2003 to 2013). 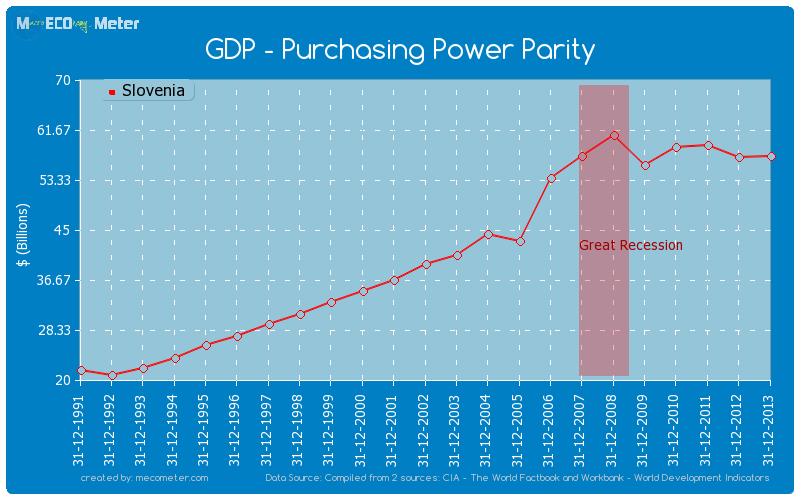 Last 10 years averageSlovenia had an average GDP - Purchasing Power Parity of 53.6 ( billions of $) in the last 10 years from (2003 to 2013).